bedfordshire's potton retained pump ladder in action pumping water from stream on drill night . , , , , if I had left a door open on an appliance in my day (let alone two) I would have been duty toilet and bathroom cleaner for the next two years!!?? Added by Pavel Zaremba on 30 July 2007. Retained? Usually the older machines go to the retained stations. 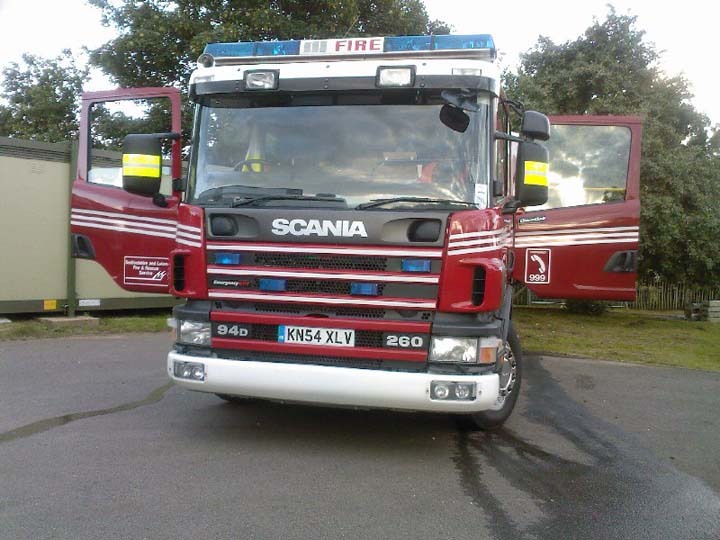 Oh how Lancashire crews would love a machine like this one.